Home » All Content » Contributors » Julena Drumi » Will programmers take over the construction sector? Software for architectural purposes is becoming more readily available for engineers — this could potentially cause a shift from practical labour for builders to the use of applications such as VR (virtual reality) to design buildings with a robotic workforce to handle practical activities. People are under the impression that technology is going to wipe out the workforce. Technology will not steal our jobs, but just replace us as we shift roles. But how will this impact the construction industry? To understand, we need to have an oversight on statistics that have been released regarding this issue. Research has discovered that by 2025, up to a quarter of our jobs will become the responsibility of robots. This includes a range of professions, from factory workers to doctors, and even journalists. However, a study carried out by Oxford University has said that 35% of existing jobs in Britain are at risk of automation in the next 20 years. A lot of questions remain around whether there will be fewer workers. However, this can be challenged if we start preparing early and encourage current and future workers to adapt to the changes. This could include advancing their own skillset with a focus on how they can do their job better with the use of technology. Although more technology will be introduced to the workplace, it’s important to keep in mind that this equipment will need to be managed by a physical worker. It’s also left unmentioned that workers will need to use technology, and that leads us to the decision that in the construction industry, builders of the future will become programmers. It’s no secret that the construction sector has been accepting these technological advancements, as they often make harder tasks much simpler. From hammers to nail guns, shovels to diggers — and now practical labour to programming. This is something that takes time though. 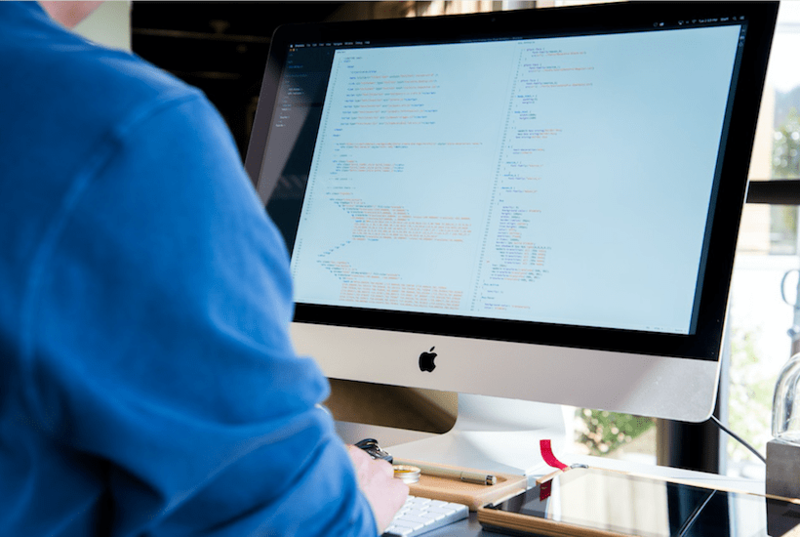 Programming is a topic that schools around the UK should be looking to implement into their curriculums as a core subject to keep up with the demand of jobs and to keep up with the constant changes in technology. If we’re teaching young people old ways, they will be useless when it comes to doing the work and there might not even be jobs available that match their skillsets. With the constant growth in technology surrounding construction, young people need to be prepared with the skills and this shouldn’t be up for debate. Like the studies discussed earlier, more jobs are at risk of being lost due to smart software and robots. Workers need to be as good as the technology. Building Information Modelling, or what is often referred to as BIM, has become a common focus for many businesses. It can look at key stages of a project across the lifecycle of a job and provide the information that is needed. This can save both time and money for any construction company and allows builders to have a clear oversight. BIM can help illustrate the entire building, from starting processes to its demolition, and can even show how materials can be reused. This article was supplied by structure analysis software provider, Oasys.